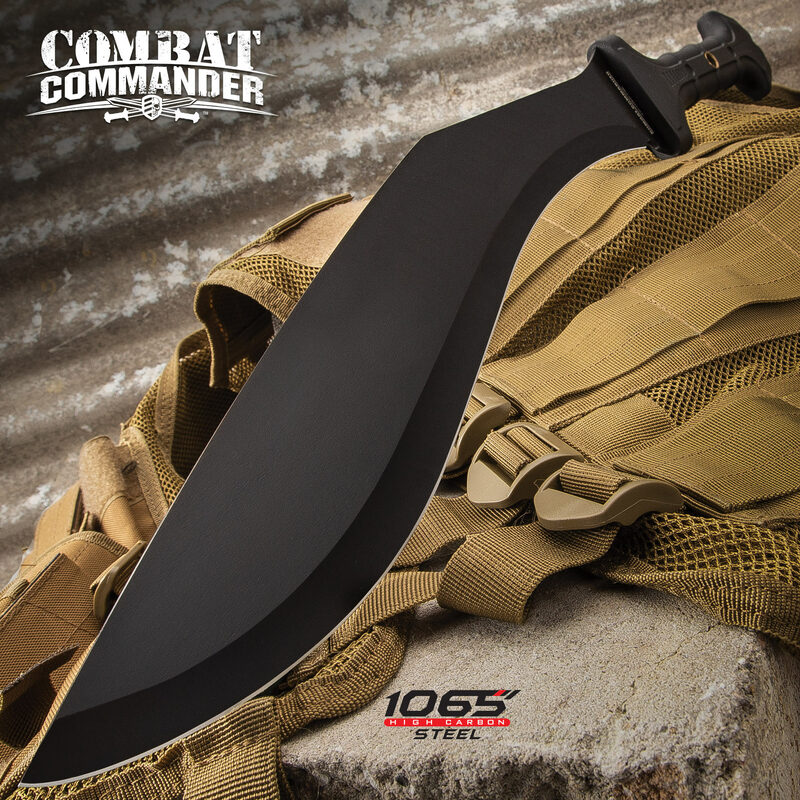 United Cutlery's Combat Commander Gladius Kukri assusres you that you can defend yourself like the toughest of warriors. 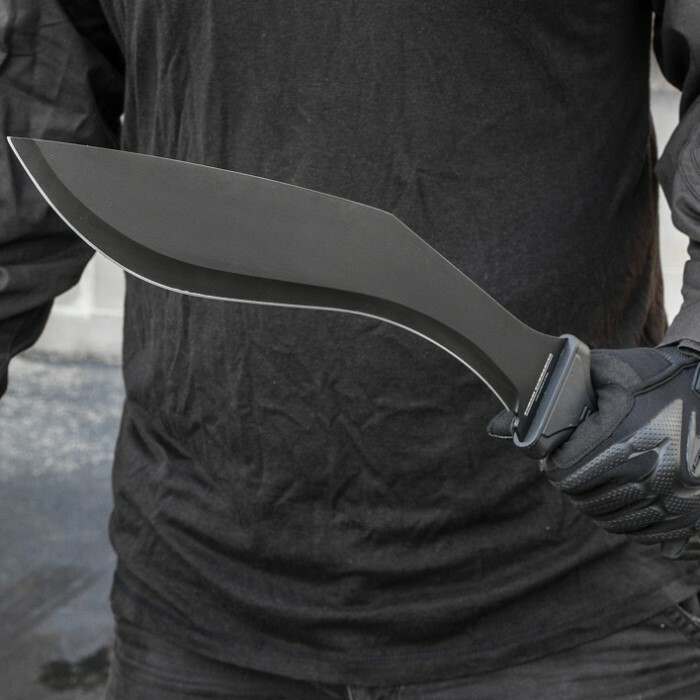 Updated for modern warfare, the full tang kukri features a powerful 15 1/4” razor sharp, 1065 high carbon steel blade built to defend. 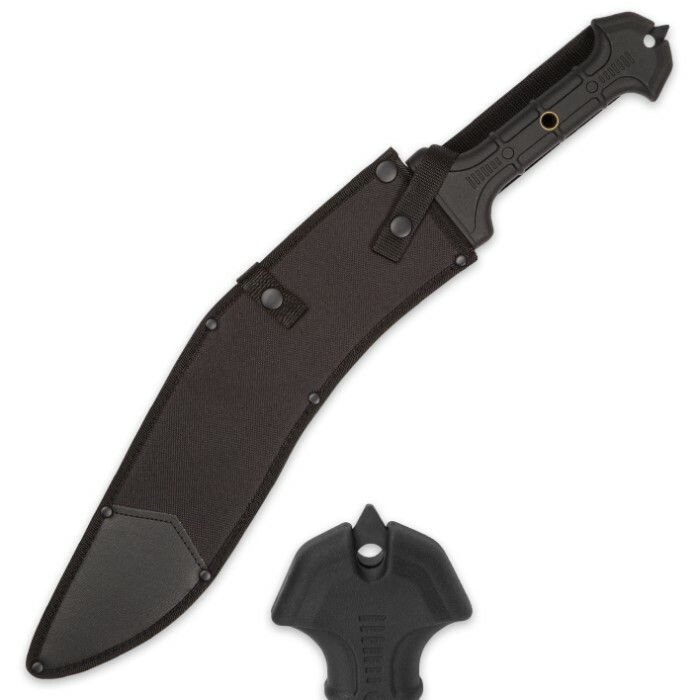 The TPR rubberized handle provides a sure grip as you wield this mighty blade. 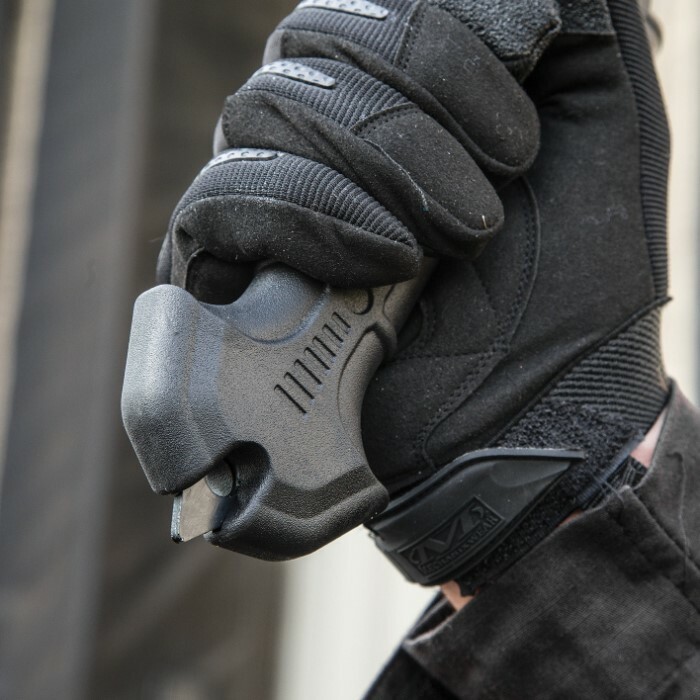 Carry it in the reinforced nylon sheath. As always, Combat Commander is your go-to for tactical, high-quality weapons that will back you up! This little sword is pretty awesome. 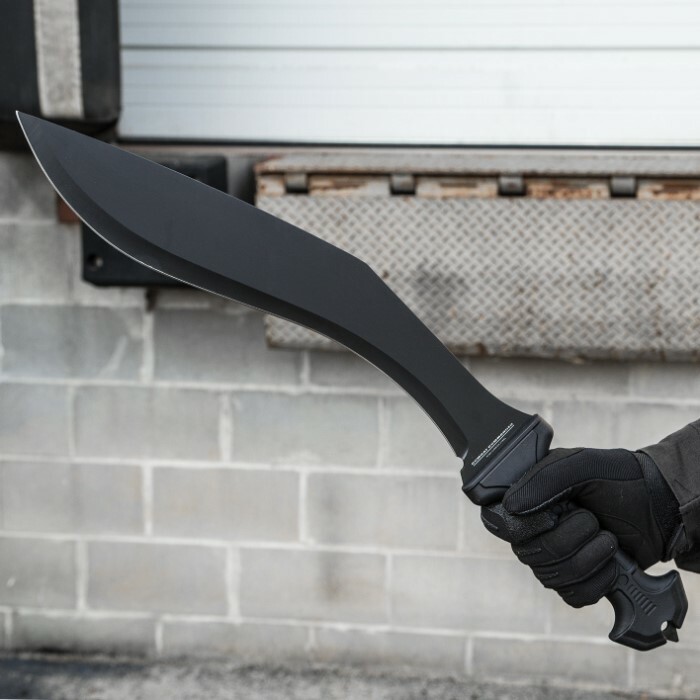 It's like small machete sized, the blade is thin, and extremely pointy. Lightweight, and strong, everything fits together well. Rubber handle is solid.